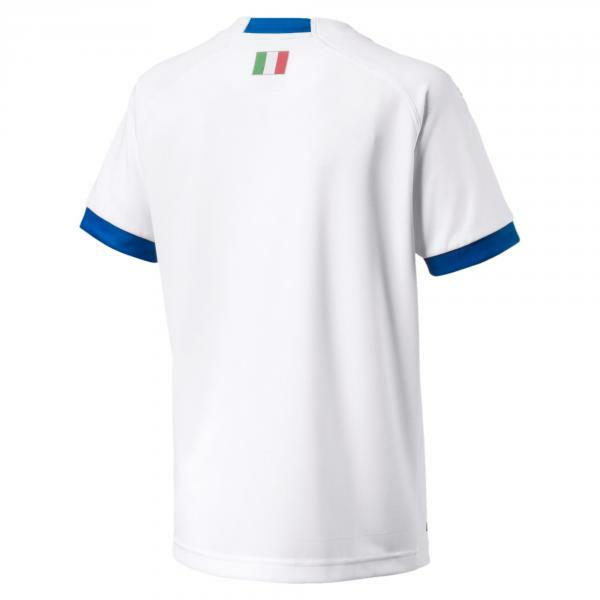 Wear your colors and cheer on your favorite team with the Italian Football Federation and the FIGC Italy Away shirt child. 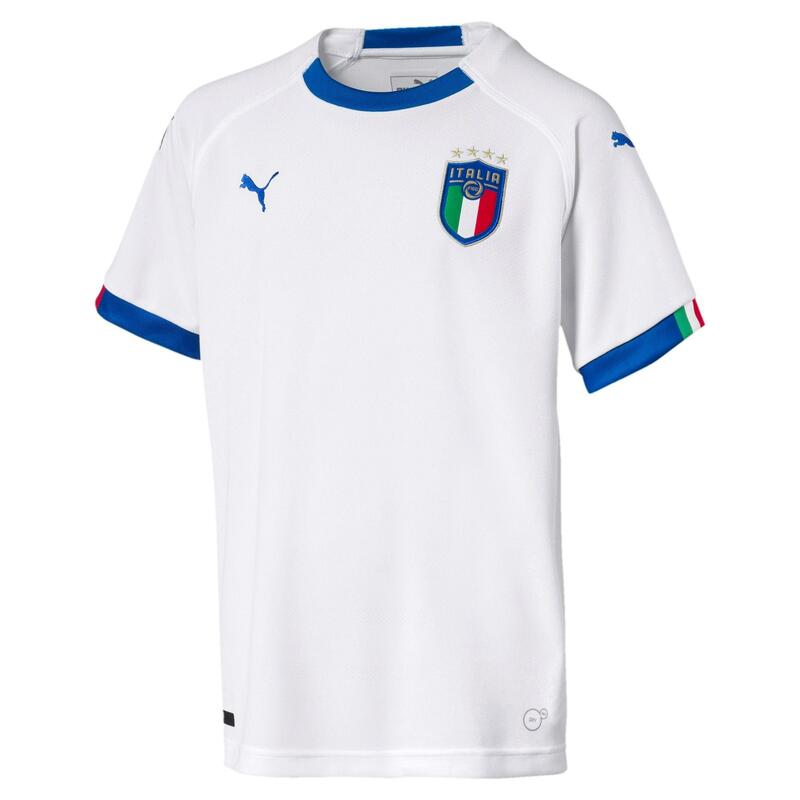 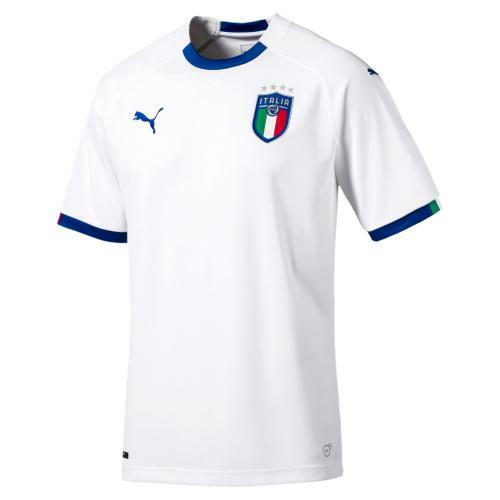 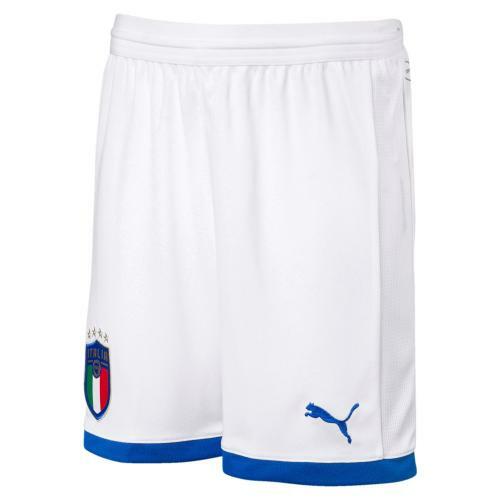 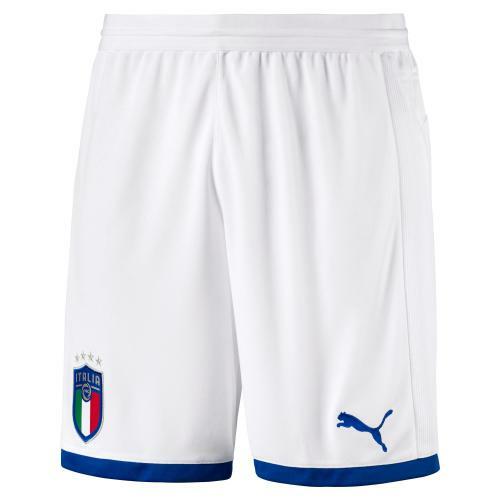 Completely classic white Away shirt, the flamboyant Italian Football Federation crest on left chest. 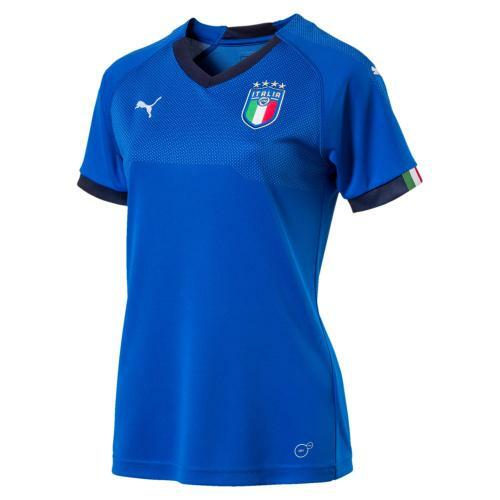 Ribbed fabric inserts on the collar adds a touch of style, while the latest technology dryCELL keeps you cool and comfortable while you play.